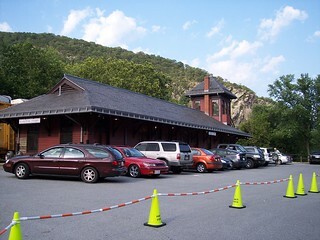 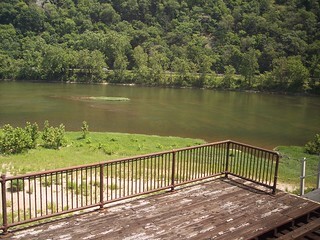 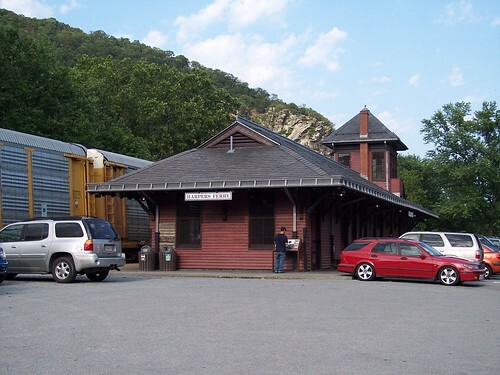 The old station at Harpers Ferry. 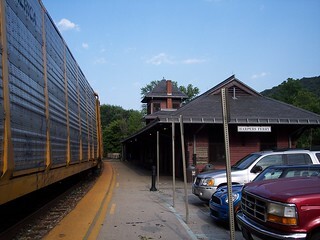 A freight train sits stopped at the station. 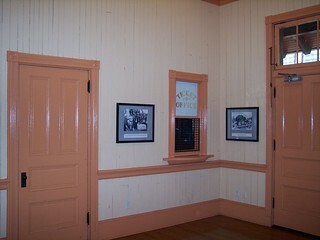 Inside the old station. 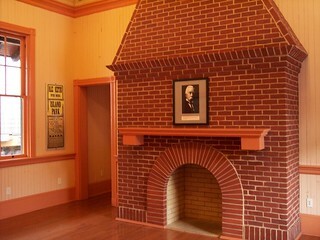 I think this was originally the men's waiting room. 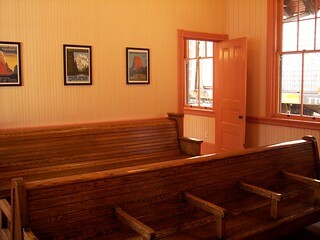 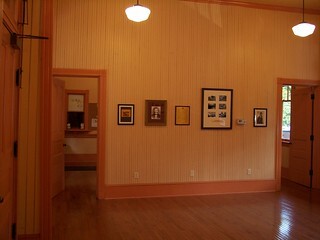 This was the ladies' waiting room. 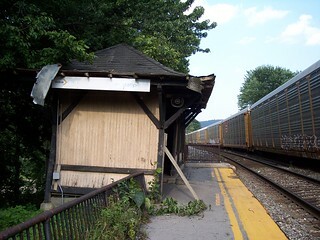 The almost completely faded Amtrak station signs on the crumbling shelter on the westbound platform. 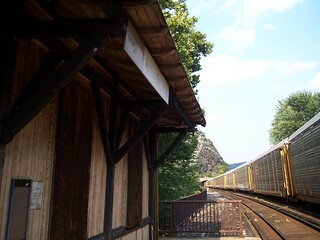 At one time the platform extended out onto the bridge. 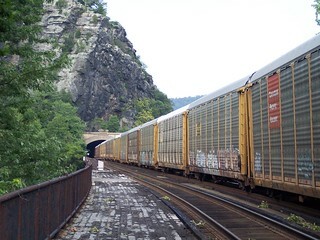 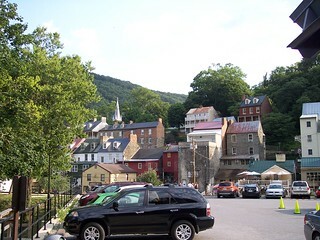 The tunnel across the river in Maryland says Harper's Ferry above it.